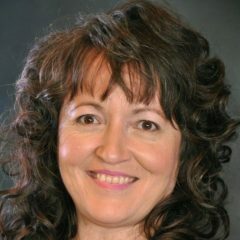 Dawn is an Access Consciousness® Certified Facilitator, Access Consciousness® Bars and Body Facilitator/Practitioner PLUS Symphony of Possibilities Practitioner. Dawn is also a Licensed Massage Therapist (LMT MA67581) and is a Usui Reiki Master Teacher and Karuna Reiki Master Teacher. Here is a brief biography and explanation of her abilities. Dawn is a Speaker, Facilitator, Energy Healer & Best-Selling Author. And former Rocket Scientist. Dawn spent many years in the Space Program as an Engineer. As the Space Shuttle program was winding down Dawn began exploring her spiritual beliefs. She became a Reiki Master Teacher, Licensed Massage Therapist and an Access Consciousness® Certified Facilitator, Access Consciousness® Bars and Body Facilitator/Practitioner PLUS Symphony of Possibilities Practitioner. She is also a Cranial Sacral Therapy provider. For more information about Dawn, check out her website at iampurpledawn.com and her Facebook page at Purple Dawn. Contact Dawn directly at 321-917-9221 or call Universal Energy Massage at 321-480-2785 to schedule an appointment.